Before SizeChina, all ergonomic data available to designers focused on the body shapes of Western populations. Since Western physiology differs significantly from that of Chinese and South Asian populations, particularly the shape of the head and face, Western measurements of helmets, facemasks and eyeglasses caused fit, comfort and serious safety issues for non-Western users. 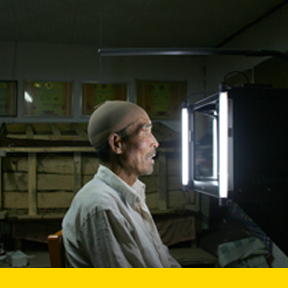 Using the most current digital scanning methodology, this project assembled data from a representative cross section of people from mainland China to create the first-ever digital database of Chinese head and face shapes. Now, designers hoping to reach the two billion people in the Southeast Asian market will be able to create products that genuinely fit the needs of this audience. "I was most impressed by the artifacts from this research. Despite the enormous logistical challenges, the valuable physical and digital resources now available to researchers and designers will not only promote awareness of cross-ethnic physical differences, but also engagement and collaboration between western and Asian designers. From that perspective, this project stands as a great beginning." Client: Innovation and Technology Commission of the Government of Hong Kong Special Administrative Region (Hong Kong), Strategic Sports HK Ltd. (Hong Kong) and New Era Cap Ltd.